This was the envelope I created to send Nathan’s birthday invitations. Remember the dinner party menu invitations from yesterday’s tutorial? 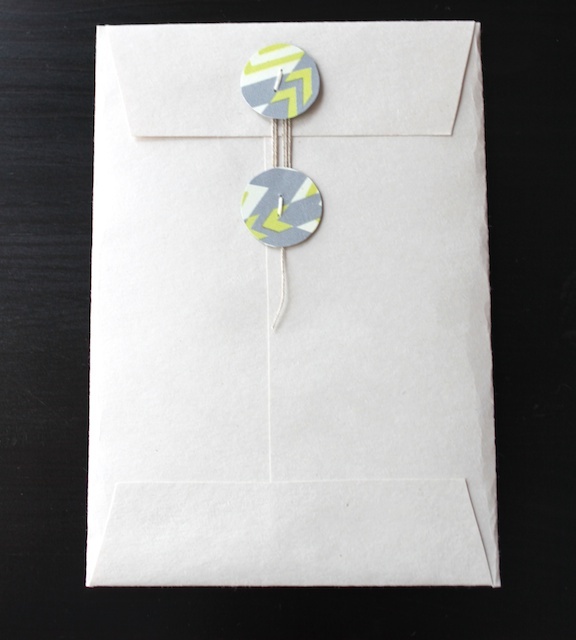 This string tie envelope is the perfect size to fit the 4 x 6 inch invitation cards. But you can use it for anything. Send love notes. Mail off adorable photos of you children. 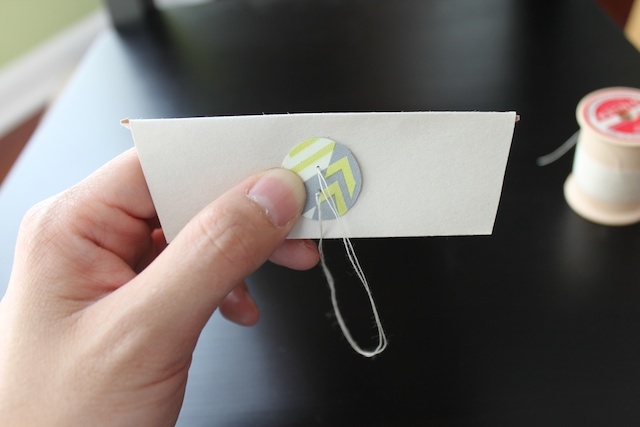 You can even make small sizes of the envelopes to use as gift tags. Just change the image percentage on your printer to 50 or 60 percent. If you make something using this tutorial, please upload pictures of it in our Flickr group to show it off to everyone. You may be featured on Simply Modern Mom. 1. Download the string tie envelope pattern. 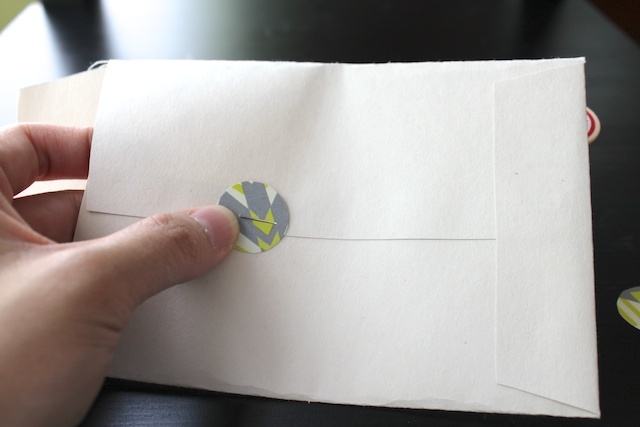 Follow the instructions included in the pattern to make the envelope. 2. 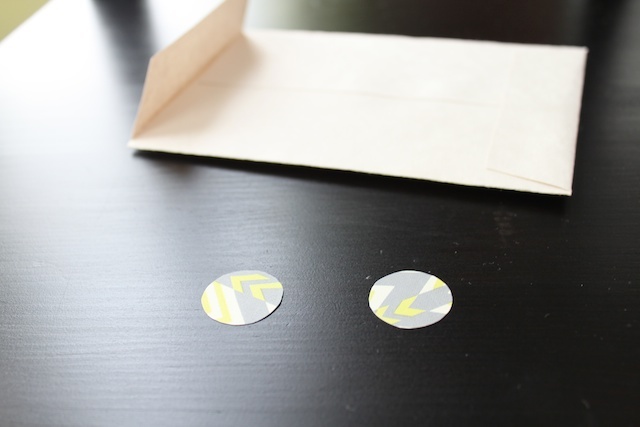 Cut out two circles using the cardstock scraps. I used a glue stick cap to trace the circles. They were the perfect size. 3. 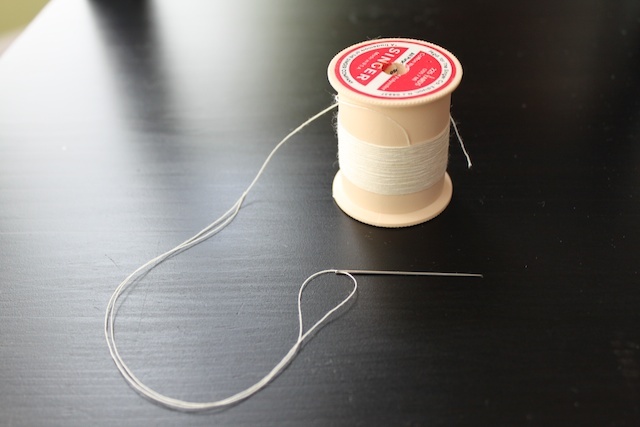 Thread your needle and sew the bottom paper button. First put the open flap down to measure where the button needs to go. 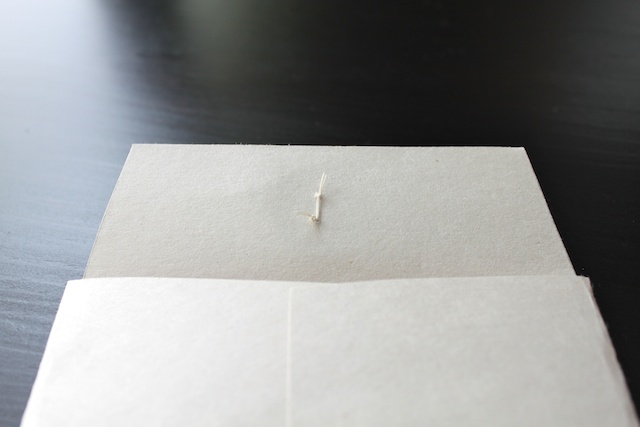 Then sew from the inside of the envelop out. 4. 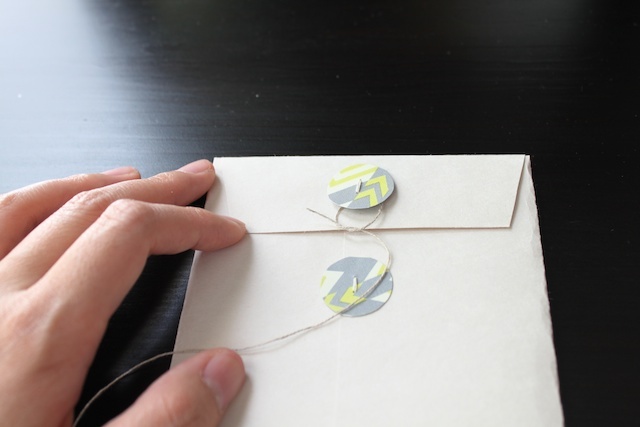 Sew the top button on the opening flap of the envelope. Center it. 5. Get your twine/string and cut it at about 5 inches. Wrap around the top button and tie a square knot to keep it in place. 6. 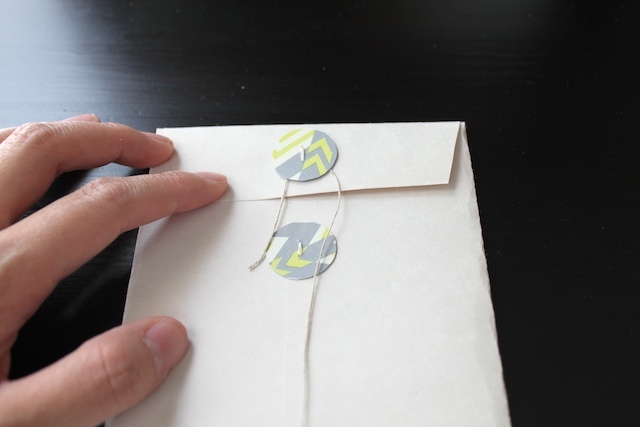 Wrap the string around both buttons to keep the envelope close or do a figure 8 around both buttons. 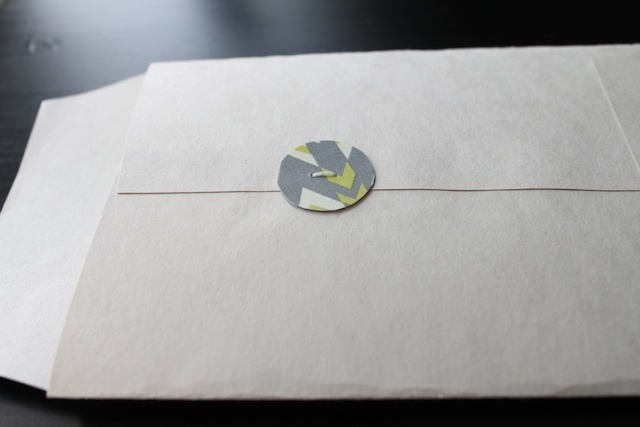 » Tell me… What are some creative or fun things can you do with this envelope pattern and tutorial? 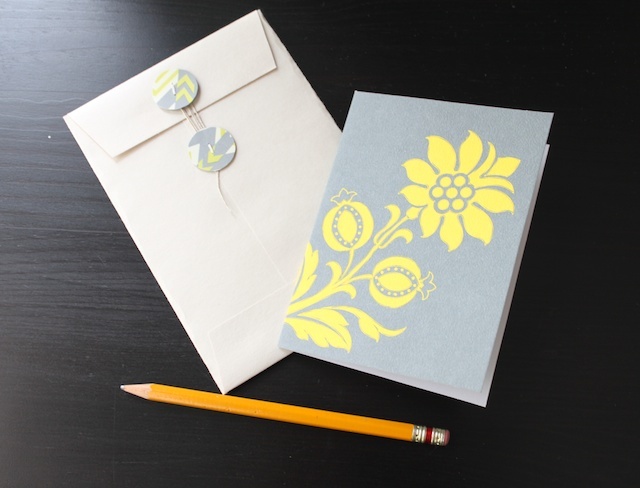 When was the last time you mailed a letter to someone by snail mail? Thanks for making beautiful things part of my everyday life! aw, you’re too sweet, catherine! You’ve been given the Sunshine Blog Award! THIRTY?? That’s it? Oh, I wish. 40 is peeking around the corner and I absolutely dread it. I’m sure your husband appreciated all of your hard work. That’s a great idea! I think I’ll try it with buttons. btw, I’ve enjoyed following your blog and have learned so much from you! Thank you! hi, lee! thanks so much for your kind words. so glad you enjoy reading simply modern mom! Great photos! I will be trying this one. Thank you so much that is a very nice tutorial. I came across your post when I was google-ing envelopes. This is such an adorable project. I was thinking about trying this with real buttons. I wanted to ask you, did these envelopes go in the mail? I’m a little concerned that the buttons might give the USPS some issues. It’s just an adorable idea, though. Thank you so much for posting this! i sent envelopes in the mail, but not with buttons. i’m not sure if buttons will give USPS problems or not, but you can probably call and find out. Looks like these envelopes would work very well in a smash book I am putting together for my baby.